For some awkward reasons, Turin is one of the most underrated and unsung cities in Italy. While most travellers head to the famous Italian triptych Rome-Florence-Venice, Turin still appears to remain off the tourists’ radar. However, going back to the city after 20 years, for me was an incredible surprise as the city has everything you can think of for an interesting Italian break or weekend away. I live you with a little visual city guide to show a few of my favourite corners in Turin. But if you are looking for more specific info, details to plan your time in Turin, check now the EIGHT THEMED GUIDES I wrote about the city. Have I missed anything? Let me know in the comments below an don’t forget to get in touch if you need further info or help planning your trip to Turin or anywhere else in the world. Why follow the masses to see this, that and the other when exploring the sights of your latest destination? I’ve found that the are always alternative ways to see the most popular tourist attractions and that the perfect view is the one you discover by surprise when you’re least expecting to be blown away. You’re not paying out all this money to holiday with thousands of strangers. Those Insta snaps of the Eiffel Tower or Colosseum will look just as great from a distance, and there won’t be any crowds driving you insane. Think Australia and sunny beaches might come to mind. Surfer dudes and strong accents are prevalent in the land Down Under, but they’re not the biggest attraction for sightseers. The Sydney Opera House, however, does pull in millions of people every year. Eight million, actually. The performing arts venue, which has been listed as a UNESCO World Heritage Site since 2007, has one of the most-recognised architectural designs ever made. It’s no wonder, then, that everyone wants to see it. Getting away from the crowds for a good vantage point is easy enough with this one. Mrs Macquarie’s Chair across Port Jackson offers an unrivalled view of the landmark, with the added bonus of Harbour Bridge alongside it. The bench, which in itself is an attraction worth seeing, is easy to reach by bus or train across Sydney. Getting a great vantage point won’t be a hassle. Sightseers flock to the Colosseum on a daily basis. The structure was built between 72-80 AD and is now home to over 2000 years of Italian history, much to the delight of every daytripper and holidaymaker out there. This crumbled monument is a wonder to behold, but not from up close. For those looking to get a great shot away from the crowds milling around outside, there are some incredible bars and restaurant in the area. La Terrazza is only three blocks from the landmark and provides panoramic views without the hustle and bustle down by the Colosseum. A bit of distance puts the monument into perspective. An essential landmark for any American adventure is the Golden Gate Bridge. It’s known around the world as a symbol of San Francisco, although it wasn’t originally planned to be the striking attraction that it’s now become. Finding somewhere to admire it without being hassled by traffic is tricky, especially if you want to see the bridge in all its glory. Head to Marin Headlands Vista Point. It’s up on Hawk Hill and is ideal for checking out the landmark while immersing yourself in nature. You can’t appreciate the beauty of the Eiffel Tower when you’re standing under it or on top of it. No-one wants to spend money on a holiday only to realise the main attraction is a let-down. This Parisian landmark is best observed on a cruise along the Seine. The unobstructed views of Gustav Eiffel’s legendary monument are worth it. Plus, the iron tower appears more majestic from the waterfront anyway. The benefit of a cruise along the Seine is that you have an hour of sightseeing on your hands. That’s a lot of attractions that you can tick off your list very quickly. Seine river cruises pass by landmarks like the Louvre, Musée d’Orsay and the Grand Palais, not all of which you might have made time to see. There’s nowhere better to see the sights of France. I know I’m biased when it comes to Italy. The country was my home for years, and that dedication to your past never leaves you. I had to bring up Lazio on this list, because it’s where you’ll find some of the most astounding architecture in the world. Italy has more UNESCO World Heritage Sites than any other country in the world (70% of the world to be precise), with Tuscany alone home to more UNESCO sites than places like South Africa and Australia. The region is filled with attractions like St. Peter’s Basilica and Castle St. Angelo which are engraved with history and stunning to look at from afar. 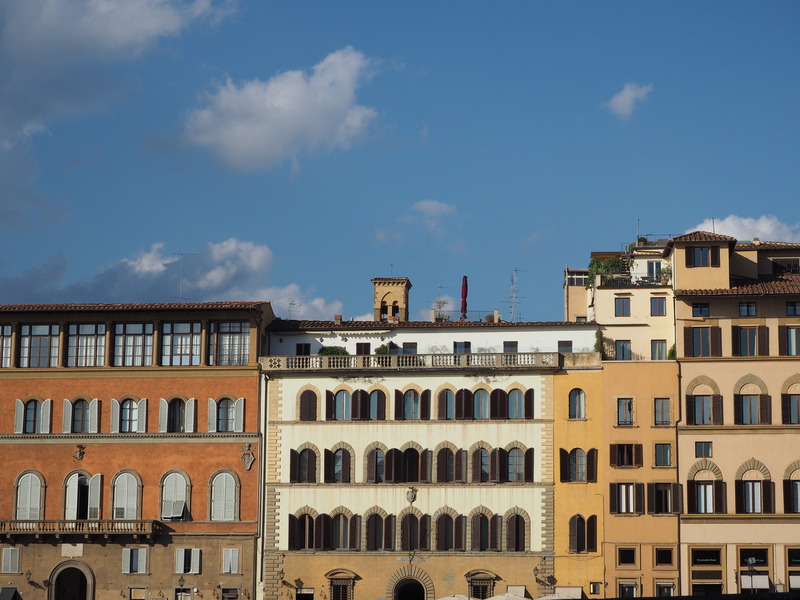 A walk along the Tevere river provides great views of these landmarks that can’t be beaten, day or night. Where in the world are you going to go next? Never be put off travelling somewhere because it’s a tourist hotspot. There are always alternative ways to see the most popular attractions. Know of any good sightseeing spots not included here? Let me know in the comments below. There is a place in Italy where Italians were born before Italy was formed. A place where the Italian language was spoken before it was called Italian. A place of magnificent architecture, the cradle of Renissance and literature works by Dante Aligheri, Giovanni Boccaccio and Francesco Petrarca that became famous around the world. That place is now called Tuscany, but for several centuries, its castles, walls and endless fields belonged to the Etruscans, then the Romans and later to the Granducato di Toscana. It was only in 1860 that this region, among many contrasts and revolutions became part of Italy. Perhaps, its history and its roots is the reason why Tuscany has more UNESCO World Heritage Sites than South Africa, Argentina or Australia. Tuscany’s capital, Florence, and the surrounding areas offer spectacular views that attract more than 10 million visitors every year. 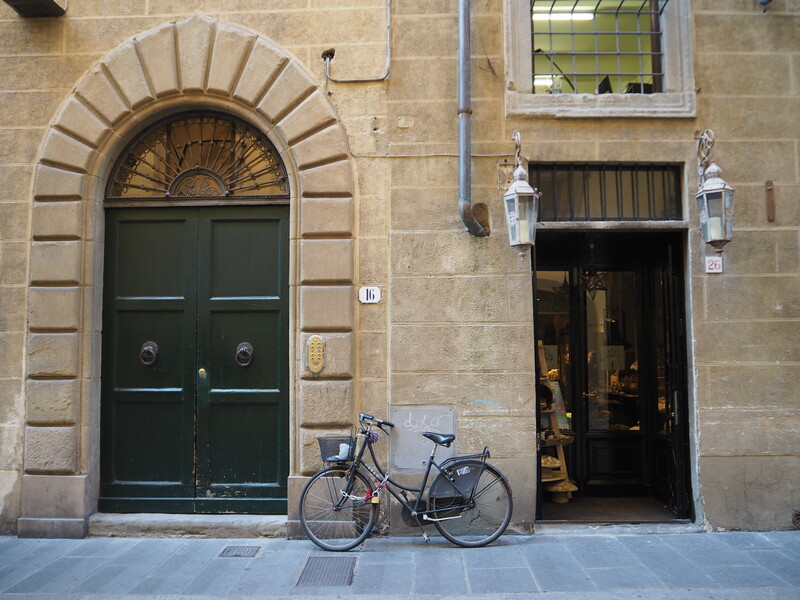 Today, Tuscany is one of, if not the most, popular region among foreigners, with Florence being the preferred city of choice for expats in the whole peninsula. There is a lot to see and do in Tuscany, the difficulty is really where to start. But why do 10 millions people come here every year? Well, I didn’t know before, but now, having spent almost a week between Florence, Siena and the postcard-looking countryside of Chianti, I think I have a few answers. Visitors come to Tuscany for many reasons. Many come in search of world-famous art in the many museums of the region, others to explore and enjoy the unique countryside. Foodies and wine-lovers choose Tuscany to enjoy the simple yet outstanding cuisine and local grapes. Active people to enjoy the hikes on the mountains and cyclists the rolling hills, while beach-lovers chose the Tuscan coast for a summer vacation. Keep reading to find out why Tuscany melts the heart of every visitor.